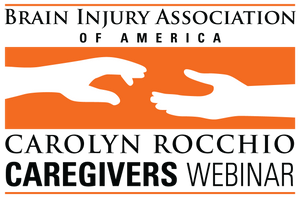 A Carolyn Rocchio Caregivers live webinar featuring Michelle Wild, CEO, Brain Education Strategies and Technologies, and Co-Director, Coastline Community College ABI Program. Airs live at 3 p.m. EST July 11, 2019. Registration closes at 11:59 p.m. EST July 9, 2019. Registration closes at 11:59 p.m. EST July 9, 2019. The presentation will offer the perspective of a professional as well as the perspectives of persons with brain injury who have returned to school, work, or volunteer opportunities. You will learn how real people are able to use apps and strategies in their day-to-day lives to help them with memory and decision making. To receive 1 ACBIS CEU Credit, please select "Live Webinar, CBIS/T Rate (Includes 1 CEU)" from the drop-down menu.